A contingency fee agreement means that the attorney only gets paid if they obtain money for you. When it comes to ERISA disability law, signing a contract with a lawyer willing to work on a contingency basis has certain advantages. ERISA disability cases are governed by a federal statute that controls the amount of time parties have to respond to each step of the process. Obtaining and reviewing a claim file and ERISA plan documents takes time. Ordering and handling invoices for medical records, following up with doctors, compiling medical evidence, writing and sending an appeal, responding to insurance company requests, as well as other necessary steps in the ERISA appeal process also takes time. Insurance companies then get up to 45 days to make a decision on your claim, with an extension of 45 days if necessary that is often taken. 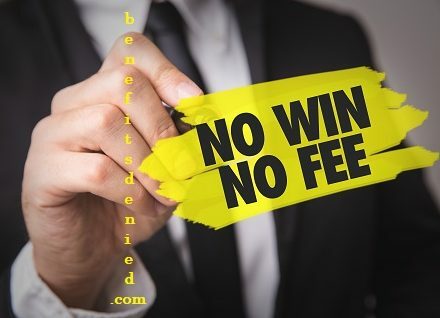 Needless to say, it’s a relief to not worry about paying an attorney if you don’t get awarded monetary benefits, but it is also a relief when you don’t have to worry about being billed for the hours spent on your file by the attorney, administrator, paralegal, legal investigator, and other staff members who worked on your case. A contingency agreement also means the attorney has a definite interest in your case succeeding, since the attorney doesn’t get paid if you don’t get paid. Some clients prefer to be billed by the hour, but contingency fee agreements make a lot of sense in many cases.